Finishing the elimination round with a clean 14-0 card is such a feat and finishing off the entire season spotless and topping it all off with 25-22, 25-17 and 25-23 easy victory over the De La Salle Lady Spikers. While Ateneo is the second team to have swept the elimination rounds with a clean 14-0 card, next only to La Salle in Aby Marano’s last playing year, Ateneo is the only team to have swept the entire season with a 16-0 card! Jia Morado deserves a standing ovation for her Best Setter award only in her second year, even besting season 76’s Best Setter Kim Fajardo and hats off also to Denden Lazaro for ending her UAAP career with a back-to-back crown and a Best Receiver Award at that. Alyssa Valdez – Time and again, I have probably used all the superlatives that can be found in the dictionary for this Queen Lady Eagle! Just when we thought she peaked in season 75 earning her the Best Scorer Award, she utilized her back row attacks in season 76 as formidable and as efficient as that of Saori Sakoda of Japan and Thailand’s Onuma Sittirak. Proof? She ended the season with.. wait, will make a deep breath: Best Scorer, Best Server and League’s Most Valuable Player.. hold on yet, she ended the championship with a Finals MVP at that! Apparently, she became deadlier in season 77. And again, I’ve used all the adjectives to describe her so let her awards this season do the talking: back to back Best Scorer, back to back Best Server.. and yes, back to back League MVP! The only thing she didn’t get this time, is the back to back Finals MVP. But hey, Amy Ahomiro, another favorite of mine, deserved the award as well! All’s well that ends well. I got pretty emotional when I viewed this video. Credits to crazyMEG Youtube account for creating such a powerful farewell video. Ateneo will surely miss the services of ace libero with multiple Best Digger and Best Receiver awards up her sleeves Denden Lazaro, the former 7th-man of the Lady Eagles under Coach Roger Gorayeb, the fierce 5’1 open hitter Ella De Jesus, and middle spiker Ayel Patnongon. What better way to end your successful collegiate careers than to get a back-to-back title for your school! My friends, Twitter followers and readers who are keen with my posts know for a fact that aside from Aby Marano, I have always been a fan of Ara Galang and her brilliance inside the court. But can I just say this: In season 76, DLSU was led by season 75 co-MVPs Aby Marano and Galang. 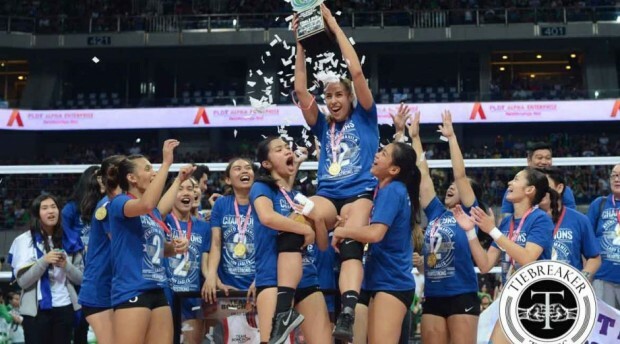 They practically swept the eliminations with a 14-0 card, earned a thrice-to-beat advantage but fell short in the Game 4 of the Finals match-up against fierce rivals Ateneo Lady Eagles. In Season 77, Ara still played and won two sets against Ateneo in the first round and one set in the second round, but DLSU never won a game against the Lady Eagles. So whoever says that the Lady Eagles are just lucky that Ara is injured, hence the straight-win Finals Games 1 and 2, should know better, understand the playing field and accept the fact that regardless of Ara’s presence: the Ateneo Lady Eagles is a force to reckon with. To say that DLSU lost the championship because Ara suffered an injury is a big insult not only to Ara’s brilliance as a player but also to master tactician coach Ramil De Jesus, to the Lady Spikers’ squad and the entire volleyball community in general. 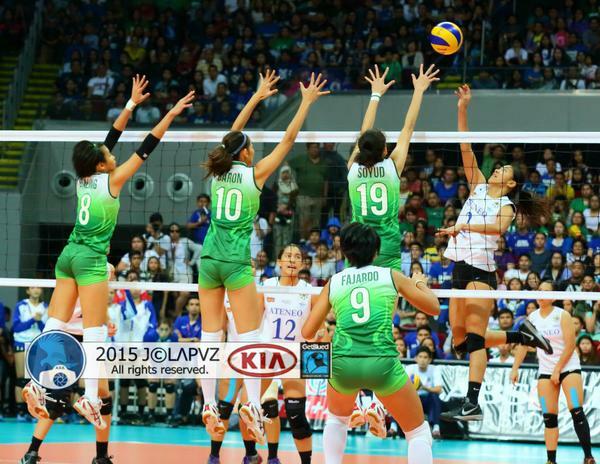 Hats off to the Lady Spikers for giving a good fight even without the services of Ara Galang. It’s disheartening when fans wish that certain players get injured just so their fave teams can play better. Just not right. Being an athlete myself, I will never wish ill will on anyone, let alone someone injured. Be it volleyball or basketball or in anything in life, it just never right to wish harm on anyone, even with our enemies. 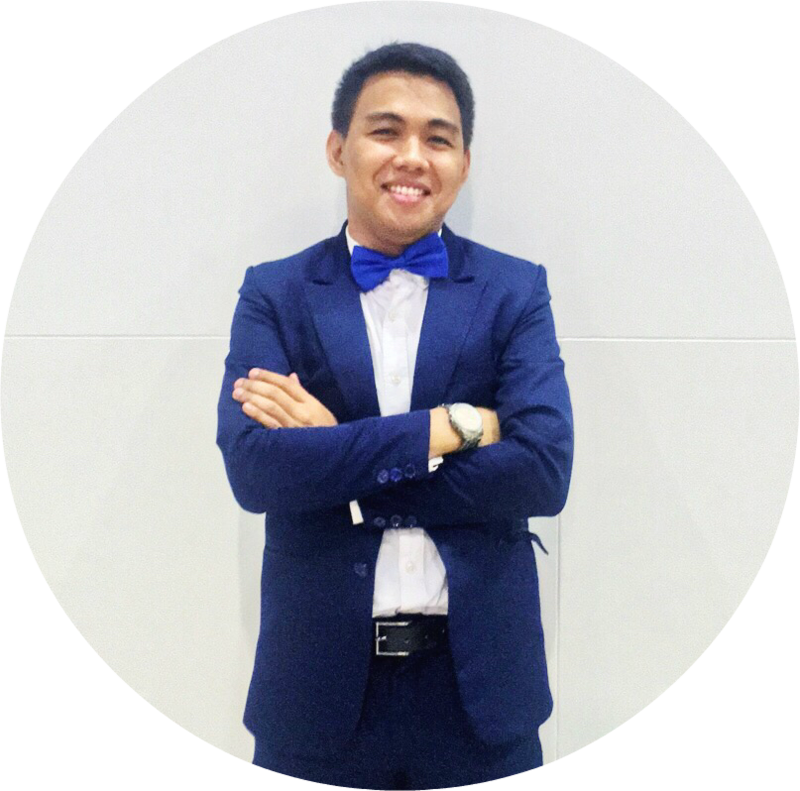 Char! J But seriously, though. 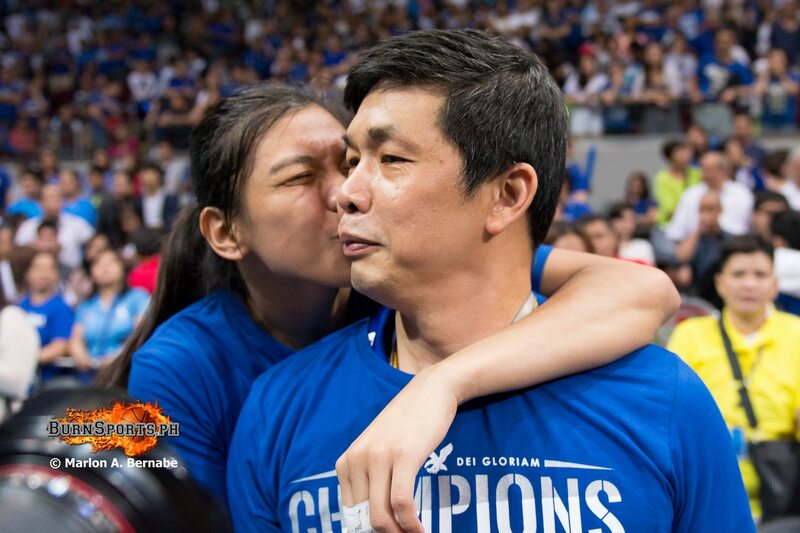 It’s Alyssa’s last playing year for Ateneo. On the other hand, it’s Ara’s last playing year for DLSU. 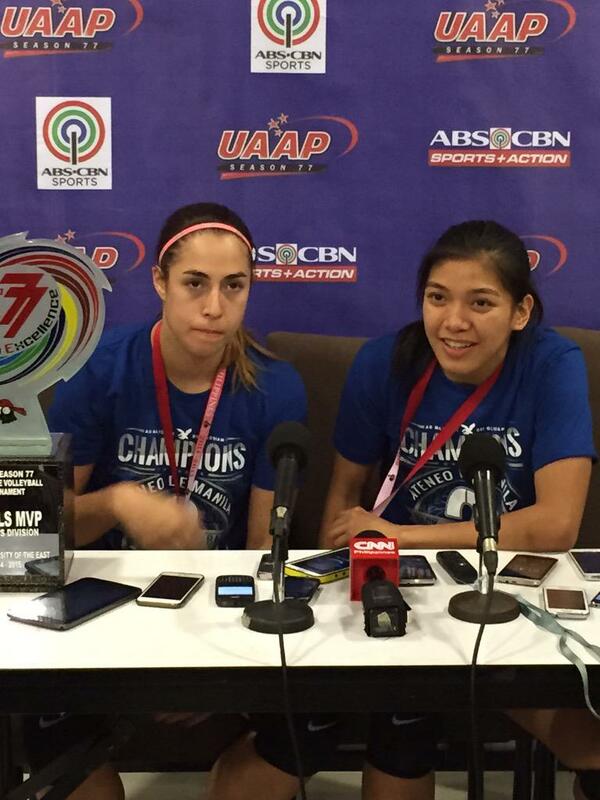 Alyssa wants it more than ever, capping off her UAAP collegiate career with a crown.. a three-peat crown at that. Ara, on the other, missed the Finals this year due to injury, will definitely would want to come back stronger and fiercer than ever next year. The showdown between these two phenomenal volleybelles next season is a must-see and should leave everyone hanging on the question: who wants it better? And who will win the crown on their last playing year? But I think the more interesting question to note in anticipation of the next season is this: who gets the better support system? Ateneo loses ace libero Denden Lazaro, open hitter Ella De Jesus and middle spiker Ayel Patnongon. DLSU’s lineup remains intact though. 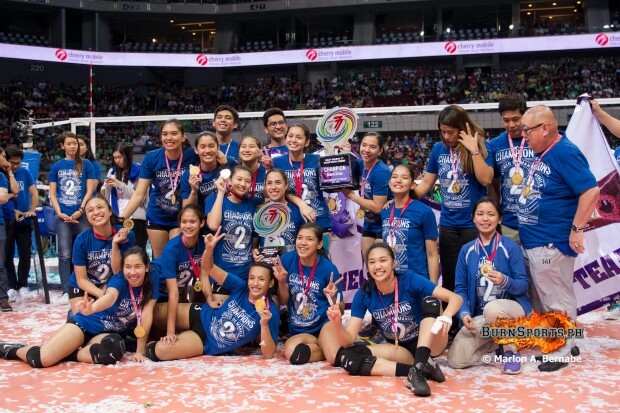 As for early predictions for what lies ahead in UAAP Season 78 Women’s Volleyball Tournament? That’s another jam-packed story altogether. 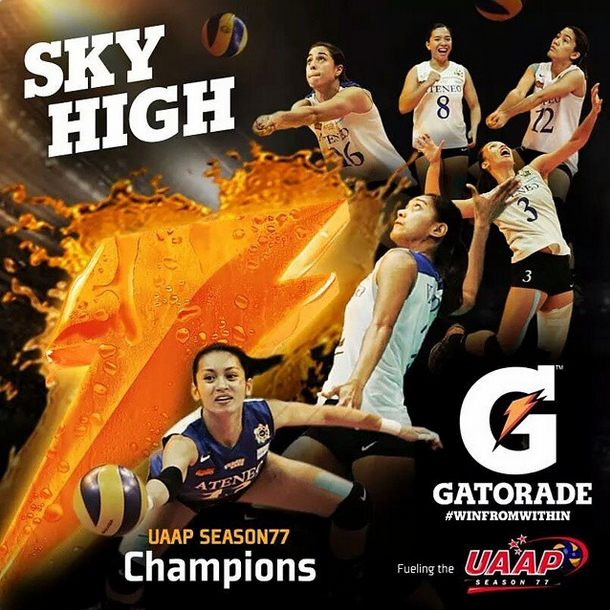 See you in Season 78!! ooh nice read. i like.